In this episode, podcast novelists Philippa Ballantine and Tee Morris join me to cast the movie version of Vogel Award winning novel, Chasing The Bard. In this episode we cast for the characters Will Shakespere, Sive, Anne, Puck, Brigit, Auberon, and Mordant. NOTES: Below are the polls, one per character. You decide which of us did the best job casting that role. 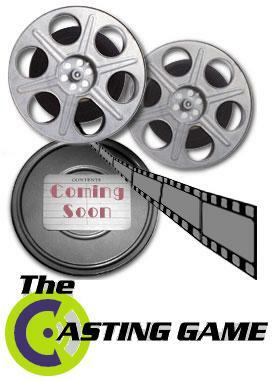 The winners of the poll will be announced on Episode #3 of The Casting Game. Polls close the day episode 3 drops in the feed.